A discussion of your goals and evaluation of your current signs of aging. The options available to you for facelift and facial rejuvenation. 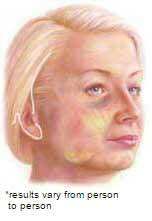 The likely outcomes of a facelift and the potential risks and complications associated with the procedure. The course of treatment recommended by your plastic surgeon. Dr. Kim will also answer all of your questions. Fully disclose health history, current medications, the use of vitamins, herbal supplements, alcohol, tobacco and drugs. Commit to precisely following all of your plastic surgeon’s instructions. By making the decision to consult with Dr. Kim and following all the instructions given, you are taking an important step in helping to assure your safety.